Yes yes I know. Frozen has been out for a year now and yes.... I just watched it for the first time on Thursday with my sweet lovies from preschool. We had a "PJ and Frozen" day school wide at school and while I have heard the kids fight over who was going to be Elsa and who was going to be Anna and the phrase "let it go" was sung over and over in that year... I wasn't sure what to expect. There I was ... knowing I would HATE the movie...yet I was wrong! I didn't expect it to impact me so early in the movie though. Like ... the beginning. If you have been reading my blog here in the last six to eight months you know I have been going through this growth experience that is really one to be a teaching lesson on it's own. I could honestly relate to Elsa in many ways and here is why. She has a gift.. that scares the hell out of her. It's important to remember how little Elsa knows about her powers. She doesn't know where they come from, how to control them, or how strong they will become. Everything she knows about them comes from seeing their strength first-hand. She is terrified of herself and what she is capable of. When we discover our gifts that are deep within us, we too know very little about them. When they begin to bloom or blossom and are in the beginning stages of being discovered it is exciting and scary all at the same time. See, when you discover a gift you have there is a time of discovery ~ yet unless we know what this gift is truly intended for we could do a lot of damage to ourselves, and to those we love. When the gift is misinterpreted by us (or others) we often feel isolated and/or the need to be isolated. Gifts deep within us are anything but "completely ordinary" and can indeed stir up fear within ourselves, and others. It was at this moment that I realized .... I hold myself back from using the gift that is deep within me out of FEAR! Here .. .I want to use part of the lyrcis from the movie on the song "Let it Go" and no.. there is no copyright infringement intended I am simply using them to share a point of view. See, I often felt like I have to be this "good girl I always had to be" or in other words, I had to be what others wanted me to be. I am not always the "good girl" you think I am... and I am finally very okay with that. I did used to conceal. I did not allow myself to feel. But eventually... the ice cracked, and well... I had to break free. We get to a place in our lives when we have to make a choice. We either die ....... inside first then out. Or... we fight. We choose to not be held back by other's opinions, judgments, or callous words. NEVER are you responsible for someone's reaction of what you are saying/doing/etc. The ONLY person you can have responsibility over is you. That's it. But in that responsibility .... you also are the only one responsible for either letting your gift die... or be allowed to come alive. I love the statement Elsa says to Anna in her ice castle after Anna takes in the beauty "I never knew what I was capable of". I remember that feeling myself when I opened my first book from the mail and held in my hands. That moment when you realize "Wow! I CAN do this!". But then.when Anna wanted to share in the product and happiness from Elsa she said "NO. I can't. I have to protect you." It wasn't that she wanted to isolate herself from Anna. She truly did want to protect her, and I am sure in some ways Elsa wanted to protect herself too. See. 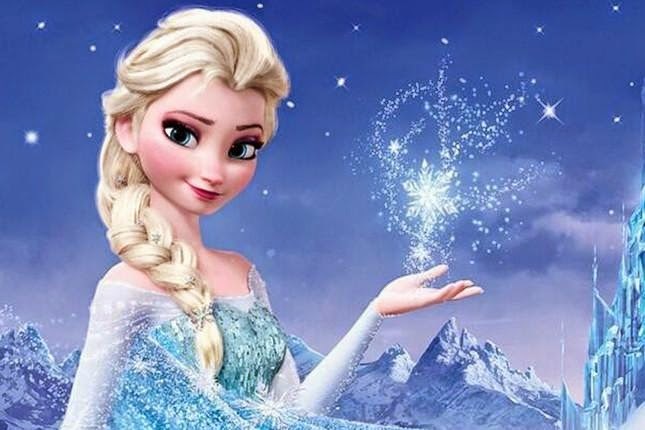 Elsa realized how beautiful she could make things...... yet there was a part of her that was afraid to let others in. She was unsure of how strong her gift was, or how to not use it in a harmful way with others around. With herself, she built an amazing beautiful castle ~ and was amazingly transformed into a beautiful woman. With others, (and her fears) torment came easy, as well as the creation of a monster. So is the same when we finally let go, and allow ourselves to become what our gift needs us to be. We create this lovely place where we can live and FINALLY feel beautiful inside and out ~ yet when someone wants in .... doubt, fear, and self consciousness comes in. The gift that is within you CANNOT thrive in fear, doubt or especially in self consciousness. Do you know why? When those things are allowed in.. the gift is tainted, shadowed, and under a blanket of a protection that really is just suffocation. We cannot go forward in the gift we've been given dragging around our past. We have to let it go once and for all and make sure it is buried in the depth of the frozen land behind us. Love... and the gift intertwined together, will produce the most loveliest and beautiful gift of all for all to see, embrace, and experience. It changes the world. Not only your immediate world, but the world around you as well. Now I have to insert this "Olaf" interpretation. Many of our gifts are instilled in us when we are children. Just as Elsa created Olaf when she was a child it is a good reminder that often we have dreams and goals that we create when we are children ... that we were indeed created to fulfill that we lose throughout life as we "grow up". So... I am letting go and allowing myself to be just what I am. If I can accept it, others can too.